You have until midnight to enter for a chance to have one of your dreams come true. 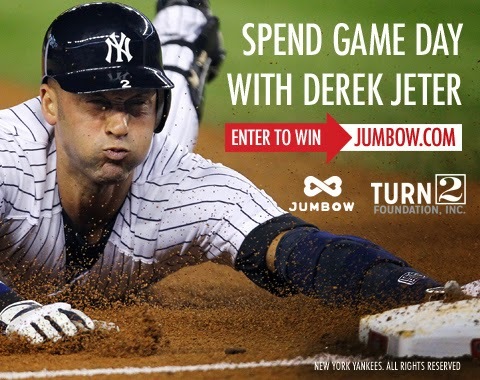 All you have to do is support Derek Jeter's Turn 2 Foundation with at least a $10 donation, and there's a chance you'll be selected to spend a day with Jeter on game day. The full deets are below, and then try watching the video below and not donating. The Turn 2 Foundation wants to invite you and three of your friends to come to New York City and go to a private pre-game lunch for four with Derek Jeter at one of his favorite Manhattan restaurants. You will then travel from lunch to Yankee Stadium with Derek and get a behind-the-scenes VIP tour of the Stadium courtesy of the New York Yankees.